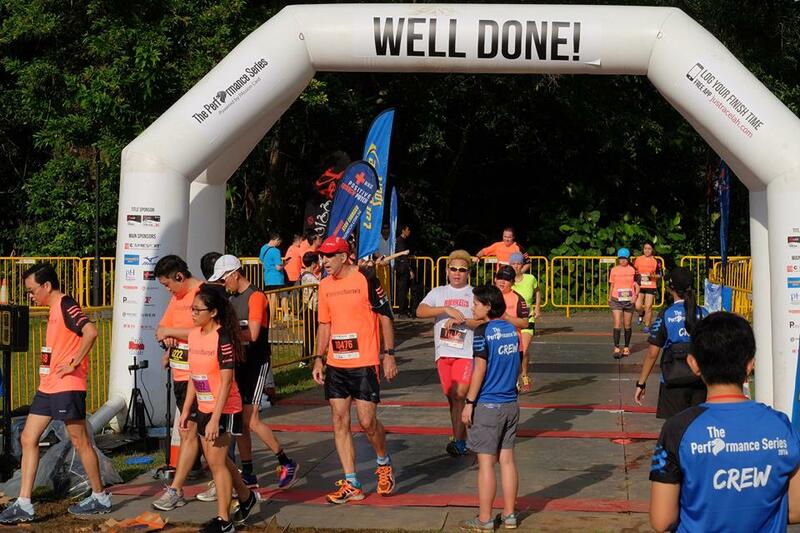 Race Review: The Performance Series, Race 2, Jurong Lake [10KM] (by KenJoe) | JustRunLah! Transcend Yourself – the theme for the Performance Series continues for myself too just the past Sunday. 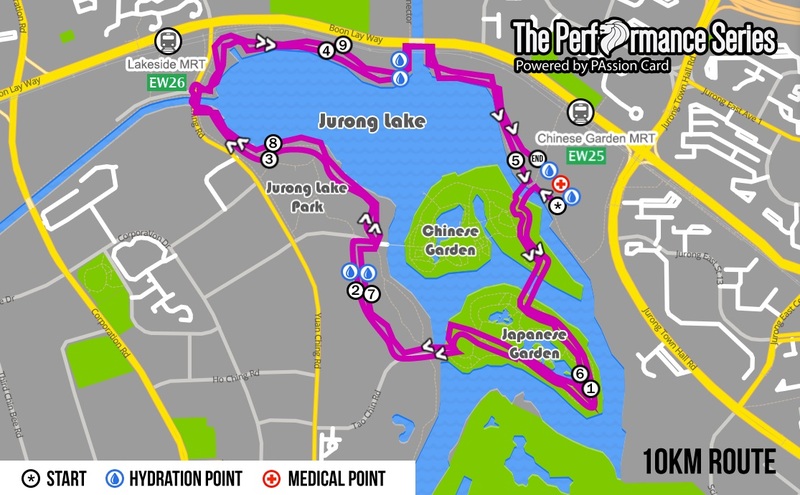 So after the Series 1, 10 Km (Oasis/Island) run on 1st May, this is the second one held at Jurong Lake. 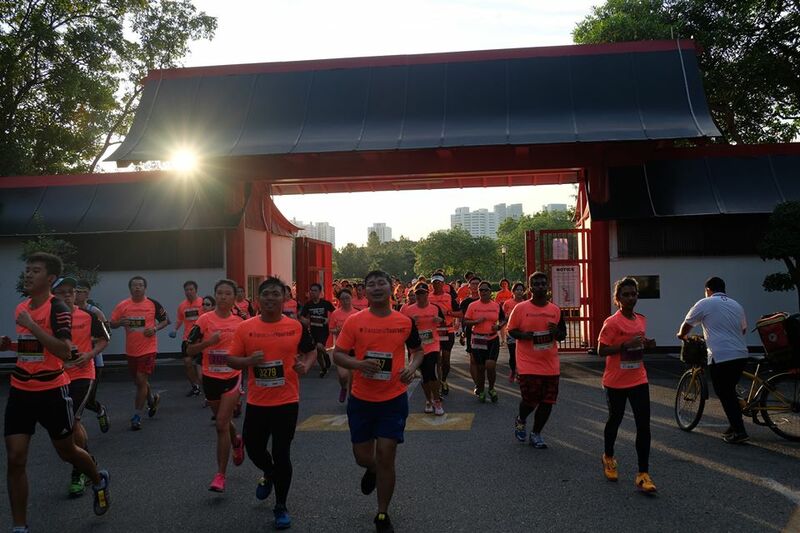 I joined the 10 Km race again, thanks to JustRunLah, again with a free slot. 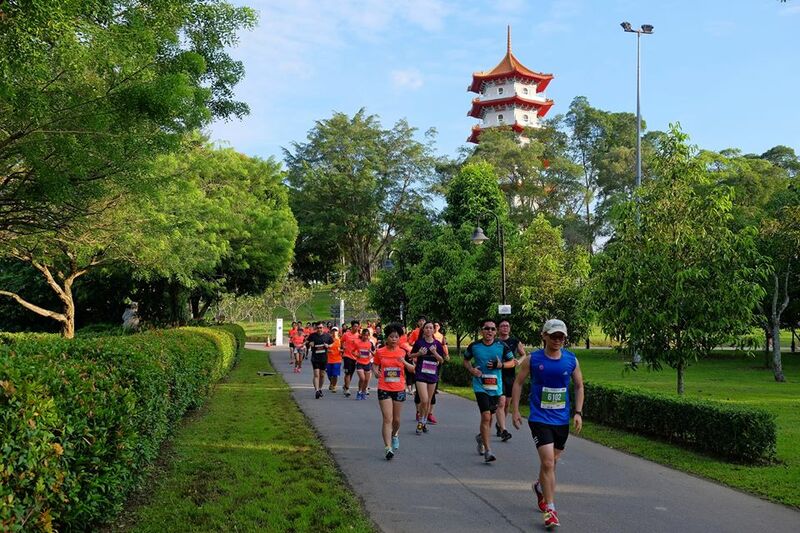 So after the recent marathon and 5 km race (see previous blogs), I spent most of the 3 weeks impatiently trying to recover from Plantar Fasciitis and not aggravate it further. It seemed more tough than trying to run every day. So it was mostly rest, stretches on the feet, legs, push-ups, a swim or two. Anyway, net result was that I felt I was putting on weight. With slightly more than 1 week to go, I started to run shorter distance of 1 to 3.5 km. There was still some manageable pain. 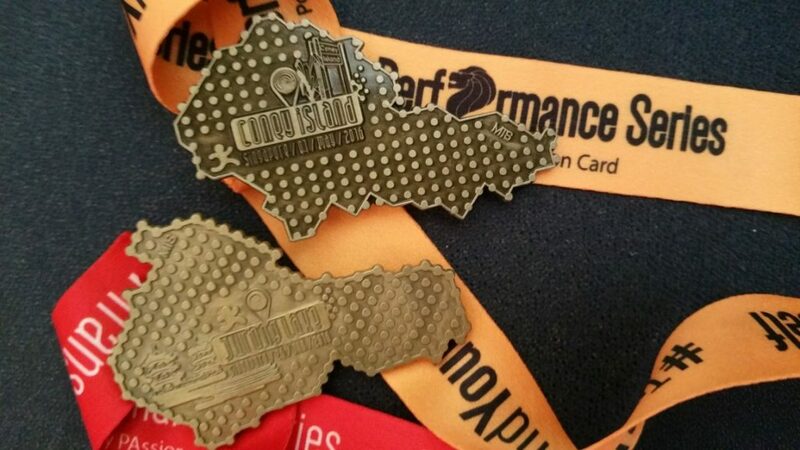 With the thought of ‘Pain is inevitable, Suffering is Optional’, I was still looking forward to the 10 km race. 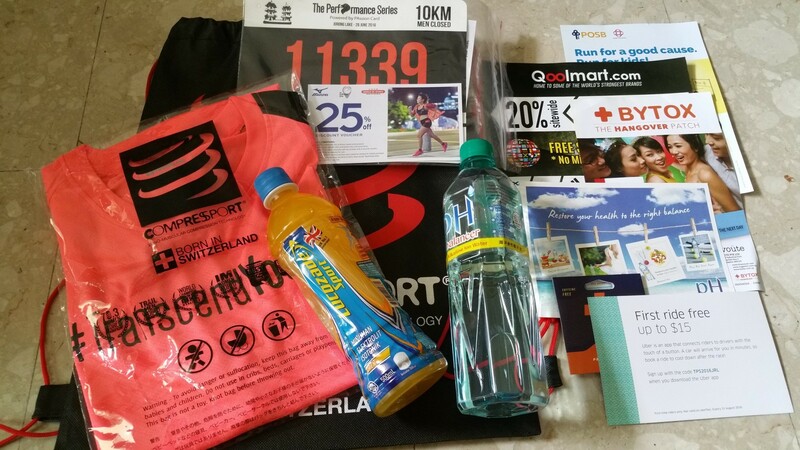 I collected the race pack the week before and everything went though smoothly. 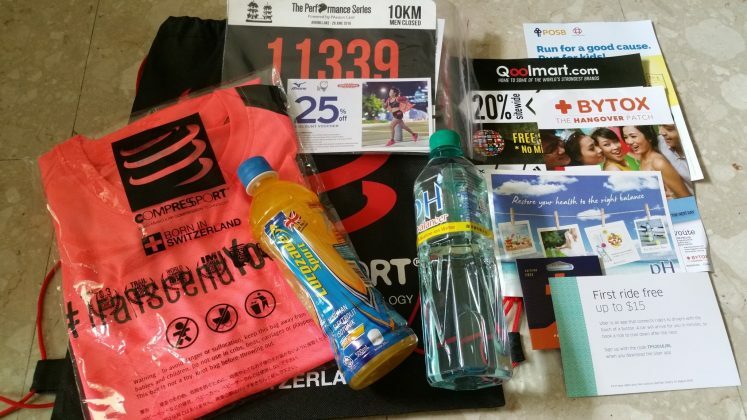 Race pack had the usual goodies and the bright Tee. 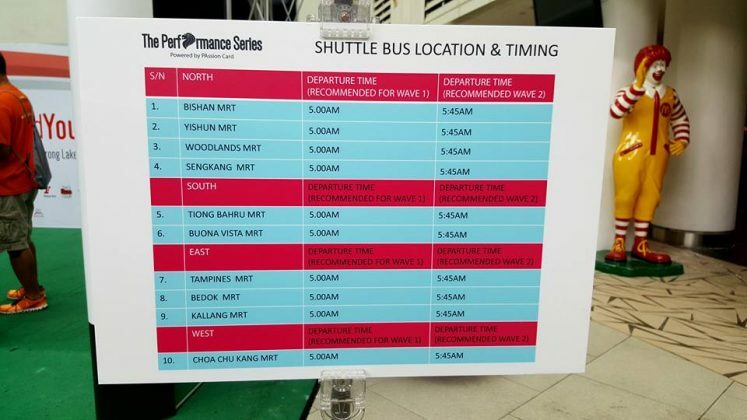 For those who preferred no hassle in transport, they could book the shuttle bus service too. I had decided to drive. 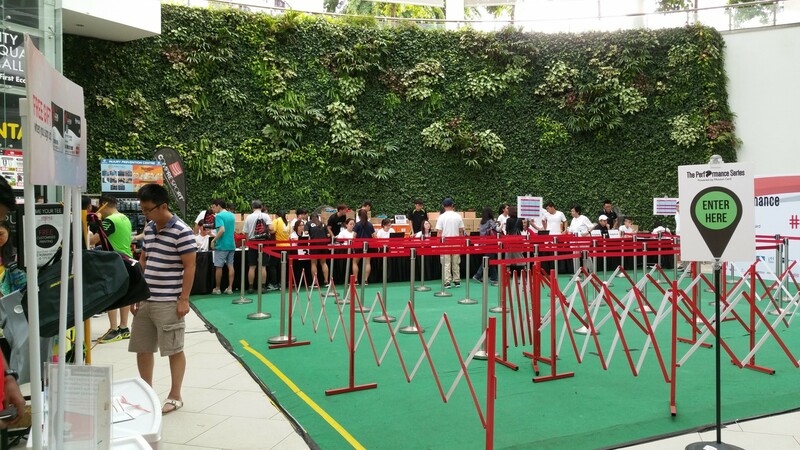 I reached the venue at 6.05 am and was supposed to be in wave 1, 6.30 am so that should be good. However the 3 public car parks I drove to were already full, and I ended up driving around to look for lots in more distant car parks. I managed to find one finally and quickly made my way to the venue, knowing I was already very late. 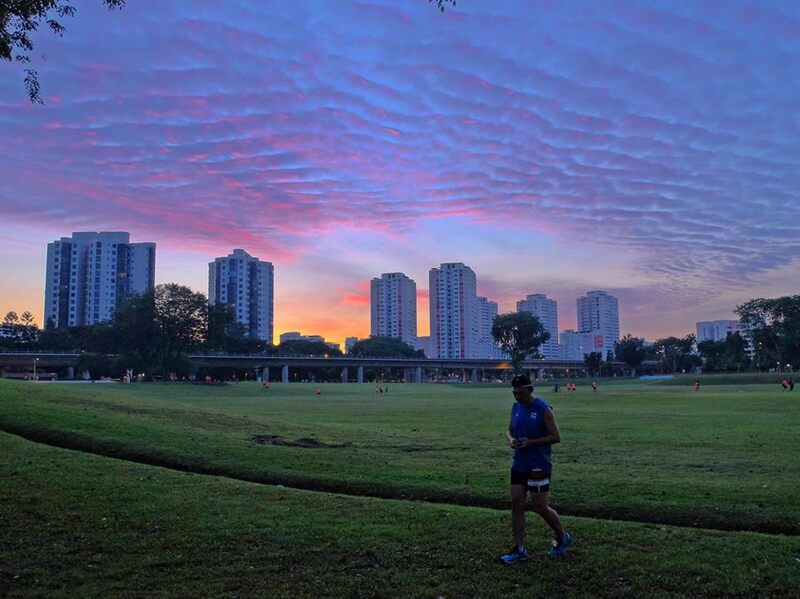 There was a very nice formation of blue and dark blue striations (with some pink) in the early morning sky and quite a number of people were taking photos. I couldn’t help stopping short in my hasty steps to admire what appeared to be a triangular, almost like a pyramid emerging against the skyline of flats, although I had not brought my smartphone camera and was already late. I then made my way across a grass patch, somewhat muddy. 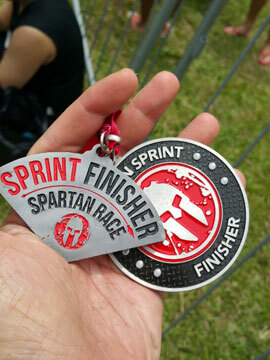 I didn’t think too much of the mud probably because of the worse condition I had experienced in recent Spartan race but I did discover lots of after-event feedback/complaints on that. Emotions are usually relative. Actually it was not too bad, depending on where you placed your feet on the grass patch as you made your way across. I already heard the blare of the starting wave much earlier on. When I got to the starting point, I noticed still a group of runners stalling and making their way rather slowly across the time mat. I joined the wave only after I saw some space clearing in the distance. It was a pleasant run, and it was basically a loop round, so the scenery was repeated but it didn’t feel boring. 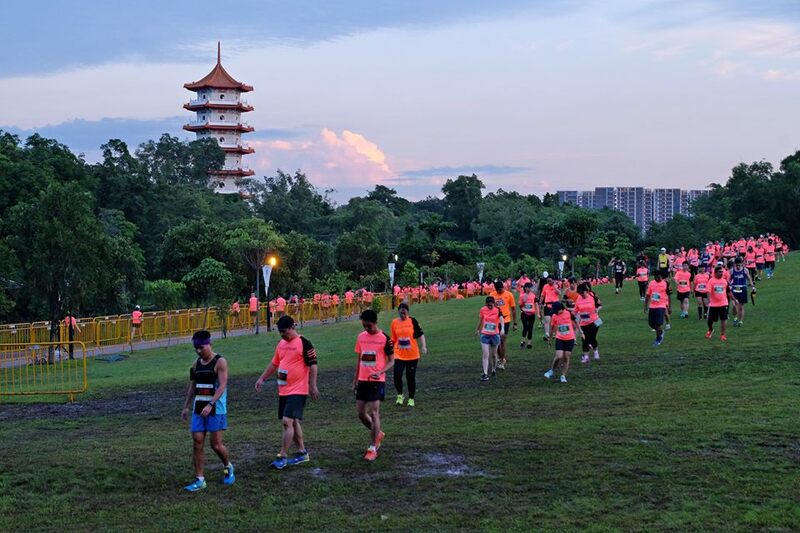 After all the attraction would be closed for redevelopment of Jurong Lake Gardens (East and West) and this was probably the last opportunity to have a race here this year. 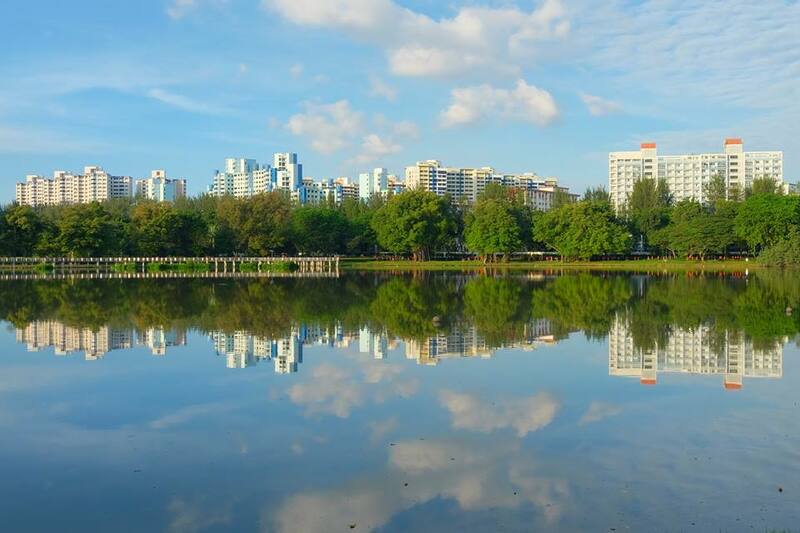 I have read that the NParks and the authorities had been doing hydrological studies of Jurong Lake Gardens West to study how swamps will naturally form and how water will naturally flow so it will become a more beautiful place. 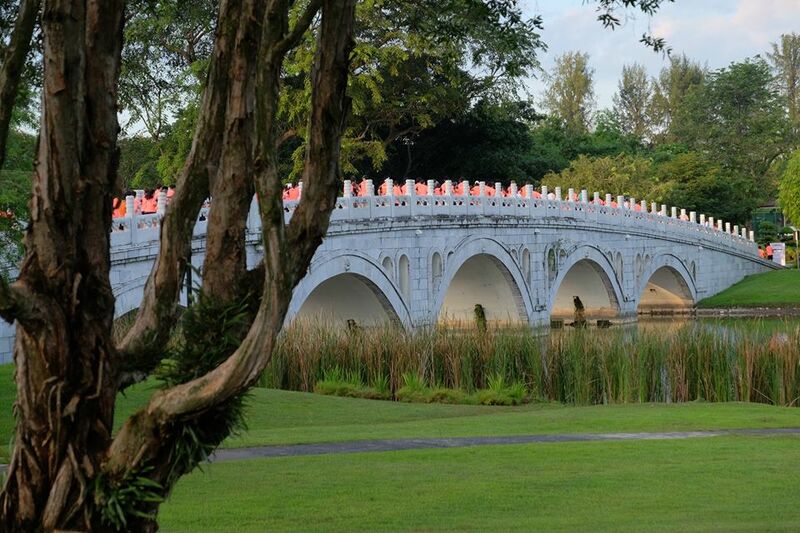 There is a very interesting collection of birds here and NParks will be creating a heron island in Jurong Lake Gardens West which will definitely be a welcoming sight in the years to come. I am sure the crowd will be even bigger then. I finished with gun time of about 1:11. I only felt a slight pain on left foot at 6 km but it disappeared when I reached the 7 km mark (though a bit disappointed to say, the pain came back in the late evening, and still around at time of writing). 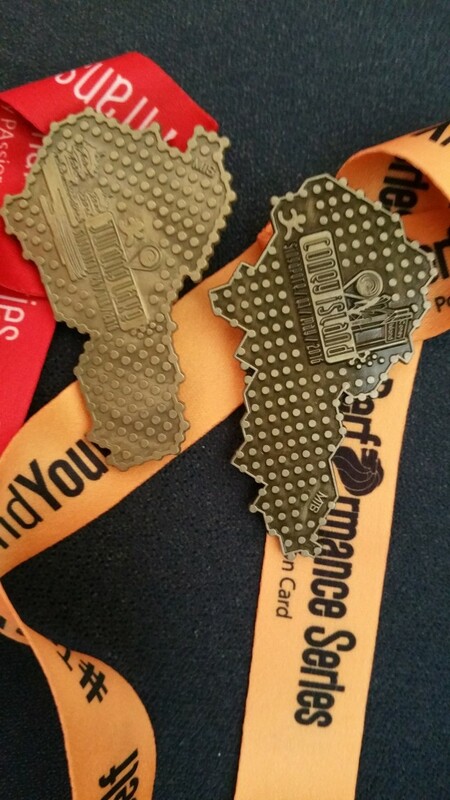 I collected my medal and finisher T-shirt and a bottle of Lucozade and headed back home for my breakfast. Ph Balancer Water and Lucozade were provided at, at least two hydration points along the route which I felt was adequate. I didn’t stop for them as I was doing fine. At certain narrow paths, it was a bit squeezy. Probably there were a lot of ‘new’ beginners, many runners just stopped and walked on right side of the route. But it got a bit confusing when the first wave runners started to come in on their second loop, and there were shouts to keep to the right for the mass. Still, I saw the podiums-to-be runners overtaking on the right. It got a bit confusing because it was more conventional to keep to the left for slower runners. And I guess this was compounded by a looped route. In all, I thought it was still good given the physical constraints of the park itself. I could still see smiles all around when I completed. Happy with my results after what I felt was a ‘long’ hiatus from races, I’ll be back every week next as I had signed on for several races consecutive Sundays for next month. Till then. 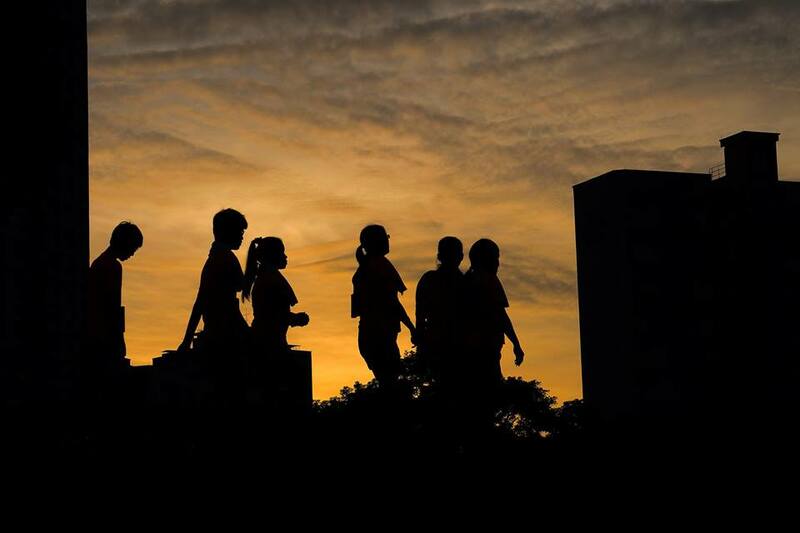 Happy running.